WOW! The season is off to a VERY fast start … hard keeping up with all the events! We need everyone’s help to get all the events in to us … if you think that we might have missed one, please let us know via email cruisinnews@mac.com, fax 916-933-4791 or phone 916-933-0949 … Please NEVER use Facebook messenger. Give ALL the info and most importantly, a contact number. We always have an event form in every issue see page 10 in this issue. 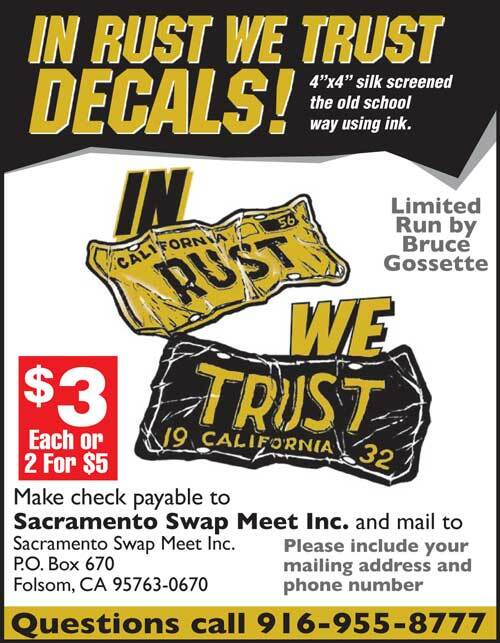 In this issue, you will see our new Swap Meet Application for April 21st at Cal Expo in Sacramento. Please note that we are now doing assigned spaces and have enlarged them to 20’ x 20’ for $45. Assigned spaces will help ease the “Land Rush” when we open the gates … no need to wait in those long lines. Please, understand that there can be NO vehicle movement during the swap meet, on Saturday, 7am-1pm. You MUST be in your swap meet spaces by 7am on Saturday. The application will be mailed out this month to all the people that have attended and bought spaces from us since 2008. Yes, the famous Bumper Guy will be there with fresh chrome bumpers! Get everything boxed up and priced now! You can get free boxes from Costco and Sam’s (and maybe even your buddy at the body shop). Clean the parts, identify them and price them … that’s very important. Bring chairs for the guys to rest in your space and shoot the breeze. Be careful to make your swap meet space safe and easy to move around in so that your sale items can be seen. Don’t get offended when you get the low-ball offer – it’s part of the tried and true swap meet tradition. Bring business cards or a tablet to take notes or to give out notes so, the guys can get a hold of you after the swap meet. 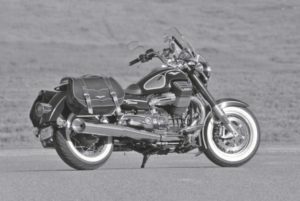 Many people have started long term friendships from attending swap meets. (Sidebar – I met Rich Grob at the Arden Fair Shopping Mall Swap Meet in the 70’s and somehow we have remained “Pontiac Friends” for some 35 years). Please use the port-a-potties. We pay thousands to rent them and you can be arrested for indecent exposure – just as one guy almost did last September. 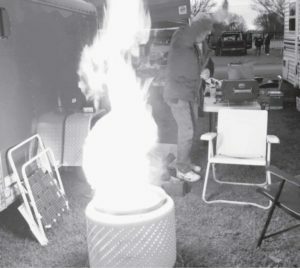 One last thing – There will be NO open fires on the Cal Expo grounds! It takes a huge effort to put the swap meet on and our crew works hard to make it a great swap meet … we truly appreciate your support of the “original” Harrahs / Reno / and now the Sacramento Swap Meet. 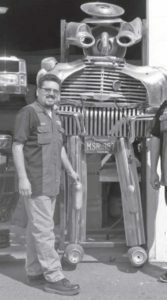 We’ll see you at the April 21st Swap Meet at Cal Expo. Be careful in the fast lane … that may be me behind you!